With the Fizik Mistica Carbon Saddle, Fizik puts their experience at creating pro peloton-approved road saddles into specific saddles for triathlon. Building off what they learned from the Tritone, Fizik honed their experience into the impressive new Mistica. With a stubby, noseless shape, the Mistica allows both comfort and pure performance in the aero tuck position. This stubby design allows for the rider to easily get into the power-optimizing position required for the fastest triathlon cycling leg. The Mistica utilizes a channel design that better enables even weight distribution across the sit bones for a more comfortable ride. With the new seamless, friction-free nose construction, the Mistica won't catch on shorts or chafe skin, while an extra grippy material over the top of the saddle provides maximum riding stability. Underneath the thermo-welded Microtex lining and foam padding, a carbon reinforced nylon shell with a redesigned carriage kit is more versatile and easy to install. The extra long carbon rail allows for maximum adjustment fore and aft to promote the perfect aero riding position, meeting the needs of even the most sensitive fit data. 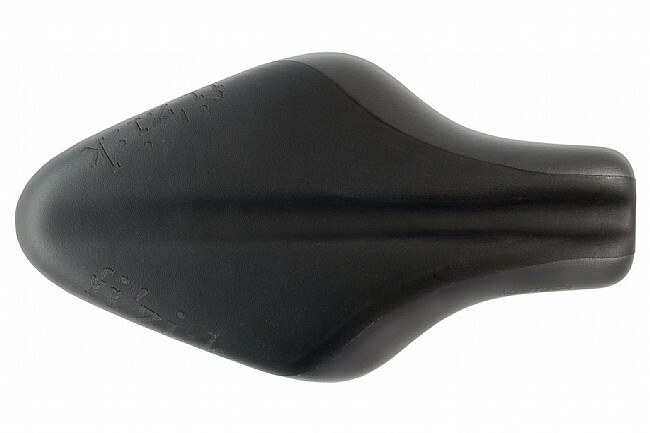 The Fizik Mistica Kium Saddle is also available in a Kium railed version.